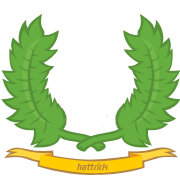 Tournaments is the alternative competition system for Hattrick teams. You can join official ladder tournaments and try to become the 'King of the Hill', or you can play in tournaments that are run by managers themselves. When in a tournament, you can use your regular squad as in any official games. Players cannot get injured and cards do not affect your regular league or cup games. Climb to the top of the ladder by challenging teams above you in the ladder. This team is not participating in any tournament at the moment.